Amsterdam is frequently cited as having the best bicycling infrastructure in the world. Photo by Ronel Reyes. Traffic and congestion is a common sight during rush hours around the world. After battling through hours of traffic, the hunt for a good parking space can be just as tiring and difficult. These jams are worst in large urban centers where there is a heavy concentration of private cars. In Amsterdam, traffic jams and parking shortages are becoming a problem, even though car traffic hasn’t increased. That’s right. . . Amsterdam has bike jams. 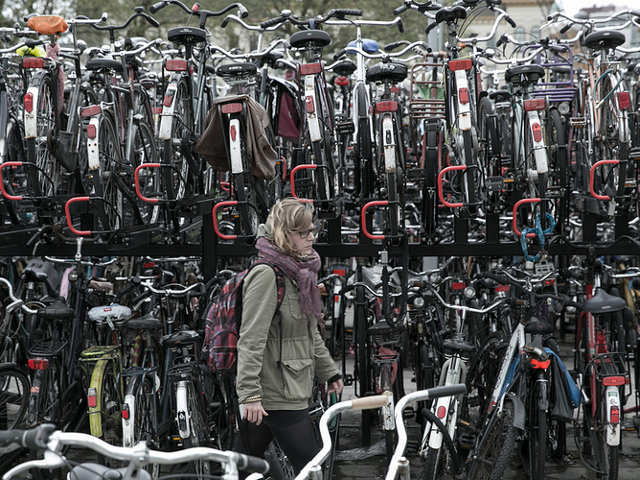 Voted the world’s best city for biking, Amsterdam’s wild success encouraging citizens into one of the best modes of transport available has led to bike-traffic congestion during rush hour, and a serious shortage of bicycle parking spaces. The dearth of bike parking isn’t because the city hasn’t built infrastructure. In fact, its bicycle friendly infrastructure is what led so many of the city’s inhabitants to bike in the first place. The city has four times the number of bikes as cars. Photo by Alex E. Proimos. There are simply more bikes than anyone expected: in a city of 800,000 inhabitants within city limits, there are 880,000 bikes. That’s nearly four times the city’s number of cars. Owners with multiple bikes will sometimes abandon their old bicycle in the street. In 2012 alone the municipal government had to “tow” 30,000 abandoned bikes from the Central Railway Station. Our take on it? This is a great problem to have. 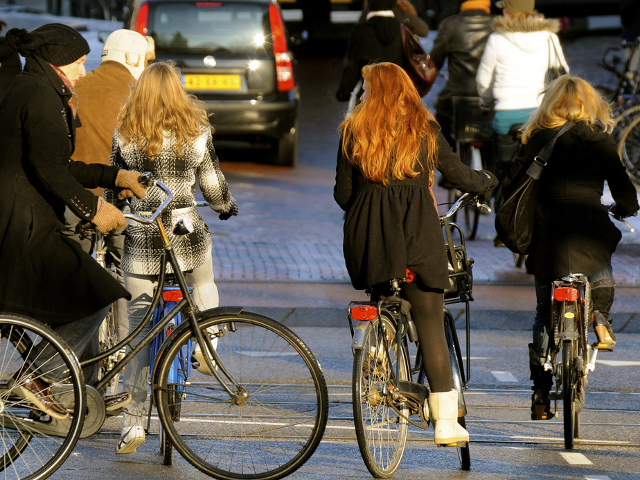 Amsterdam’s efforts to encouraging cycling are a model that should be followed by cities around the world. 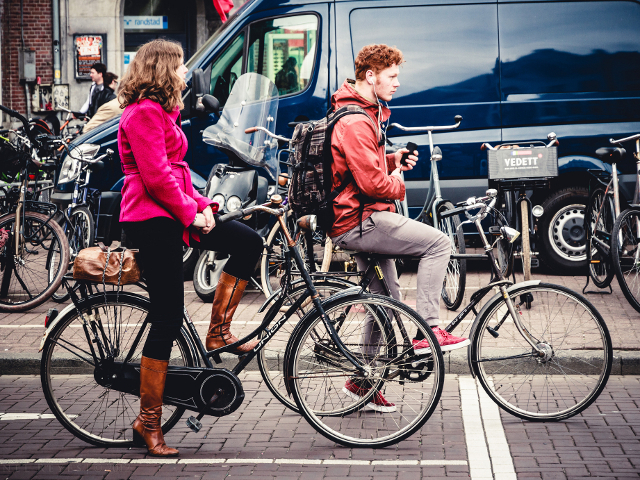 Imagine if your daily commute was spent negotiating bike traffic instead of car traffic – no pollution, no noise, no stress. I never thought I’d hope to be stuck in a traffic jam, but this much bicycle traffic is something I’d like to be a part of. Amsterdam is a model city when it comes to creating a cycling culture. Photo by Amsterdamized. This post was originally published on TheCityFixBrasil in Portuguese. The original article can be read here.